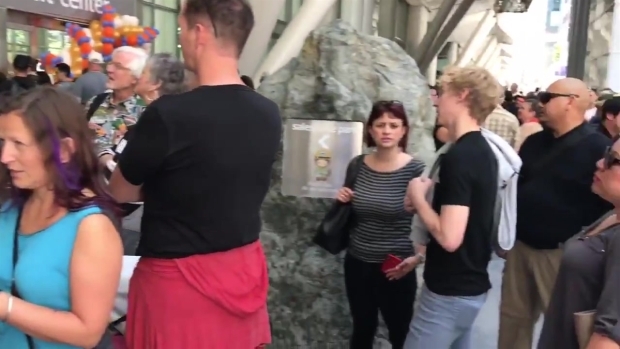 The grand opening of San Francisco’s new Salesforce Tower Transit Center attracted thousands of visitors Saturday. Some visitors even had to be turned away. Sergio Quintana reports. 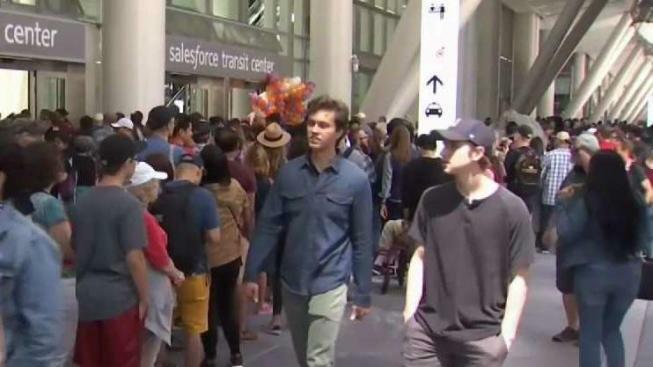 Nearly two decades in the making, the Salesforce Transit Center in San Francisco is now open, set to connect thousands of Bay Area residents to the city's downtown area. San Francisco’s SOMA neighborhood has sprouted all kinds of new buildings in recent years and tomorrow, it will unveil its crown jewel, the Salesforce Transit Center. On Friday, several city and state officials joined members of the Transit Joint Powers Authority in a ribbon cutting, celebrating the spacious and modern center's opening. "This represents San Francisco at our best. It represents our commitment to transportation, our commitment to environmental sustainability and community develop," San Francisco Mayor London Breed said. "Our city is growing with both jobs and people, and we need to do a better job of moving everyone around this region, and this transit center will do just that. 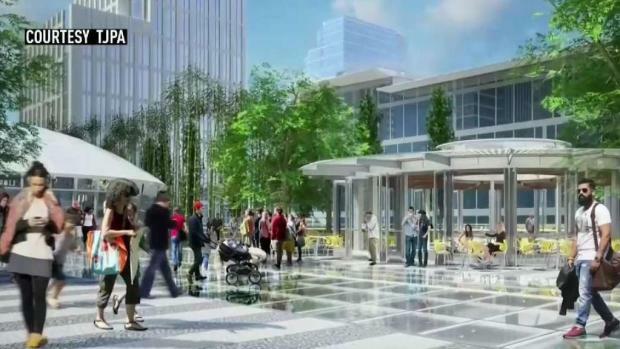 The transit center goes far beyond a transportation hub. It's a thriving place of economic opportunity," she said. "This is a representation of what can happen when people work together; public, private, nonprofit, community," House Democratic Leader Nancy Pelosi of San Francisco said. Too many people were at the opening of Salesforce Transit Center. Organizers had to limit access due to safety reasons. "It's about improving the quality of life, improving the quality of air, it's about the good health of our children, it's about the time we save," she said.